JUDY Murray visited the David Lloyd club in Woking to give a tennis training workshop to local children on the first stop in a six-day tour of the country. 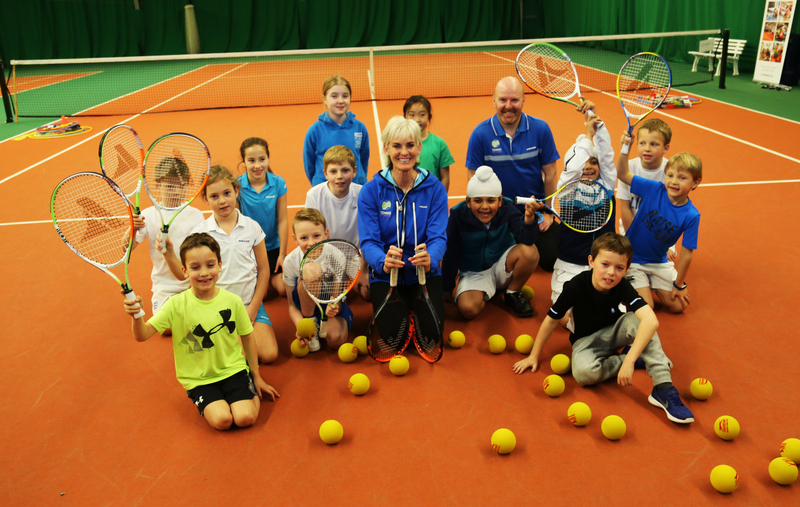 The mother of world No1 singles player Sir Andy and former world No1 doubles players Jamie, gave a one-hour masterclass for the health and fitness clubs’ junior members. The sessions are aimed at increasing participation in tennis and sport in general and encourage youngsters to get more active. Judy said: “The same motor skills underpin every sport and these can be developed in a fun and natural way through family play. Dave Clarke, Head of Junior Tennis at David Lloyd, said: “It was terrific having Judy down here today.